A well-functioning mobility system is essential for the economic health of the EU and the prosperity of its businesses and citizens. Being able to move goods and people across the EU is crucial for the success of the internal market. The challenges for EU mobility policy involve linking up different forms of transport ranging from air to rail, road and waterways. At the same time, the EU needs to make progress in decarbonizing transport so that it makes its contribution to tackling climate change while improving the quality of life in cities. 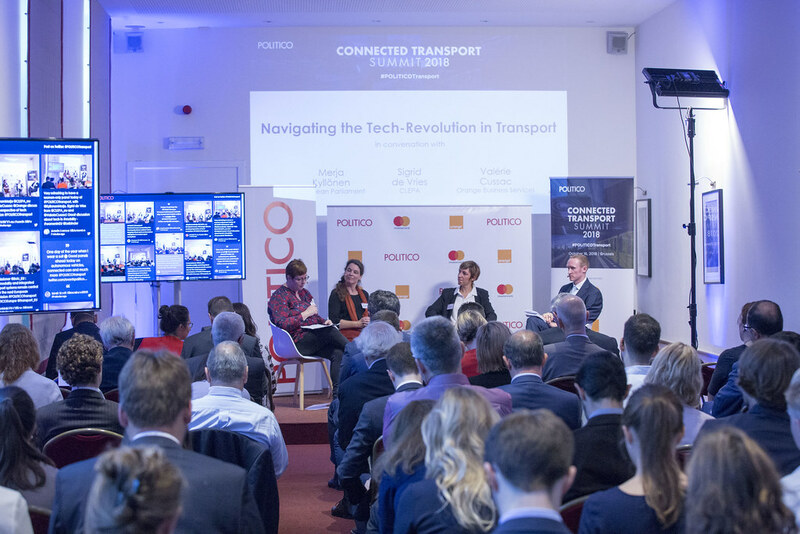 In this transition year, POLITICO brings its third annual Connected Mobility Summit to Amsterdam, the mobility lab of Europe. From self-driving buses to autonomous boats, the city is very enthusiastic about mobility technology. How mobility, connectivity and sustainability interact with each other? Does Europe have the right mobility framework in place to meet the Paris goals? Is European industry able to compete in energy technology with the U.S. and China? How can manufacturers and recyclers deal with worn out batteries? How can consumers afford the costs of the mobility of tomorrow? What needs to be done to integrate bicycles, urban transport, railways, airports and cars? Interview Developing digital tools for safe, clean and connected technology – What’s left? Violeta Bulc, European Commissioner for Mobility and Transport, sits down with POLITICO’s Transport Reporter Josh Posaner, to discuss what’s left to develop digital tools for safe, clean and connected technology. Introductory remarks from the Connected Transport Summit’s Master of Ceremony: Mark Scott, Chief Technology Correspondent, POLITICO. Merja Kyllönen, MEP (GUE-NGL), Committee on Transport and Tourism, European Parliament; former Transport minister of Finland, Sigrid de Vries, Secretary General, CLEPA, and Valérie Cussac, Vice President Mobile Business Unit, Orange Business Services join POLITICO’s Chief Technology Correspondent Mark Scott, to discuss how to navigate the tech revolution in transport. László Palkovics, Minister for Innovation and Technology, Hungary sits down with POLITICO’s Chief Technology Correspondent Mark Scott to discuss how to bridge the gap between innovation and governance. Interview “Cleaning up” transport: Are we doing enough to deliver green transport of tomorrow? Maroš Šefčovič, Vice-President of the European Commission in charge of Energy Union sits down with POLITICO’s Energy Reporter Anca Gurzu to discuss whether enough is done to deliver green transport of tomorrow. Hear the latest insights from Europe’s policy players and transport innovators across sectors. Be among the 150 policymakers, experts, regulators and industry representatives at the forefront of the digital revolution in transport.